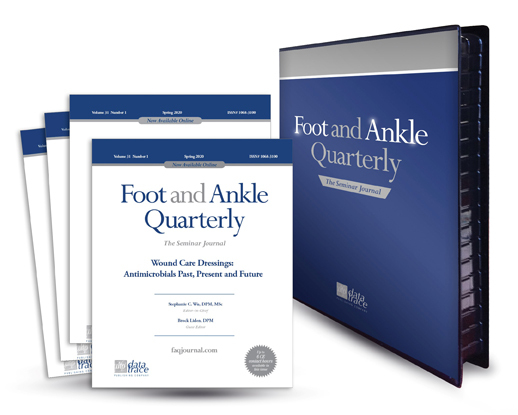 Podiatry’s favorite CE home-study program includes a new issue every three months. 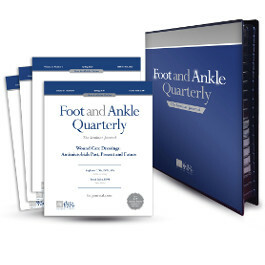 Foot and Ankle Quarterly gives you quality seminars from leading lecturers in the convenience of your home, office, or car. Each issue contains a feature article, three to four abstracts and commentary on recent, important articles, and two 40-minute audio lectures by experts in the field. It’s easy to subscribe and earn up to 24 yearly CE contact hours, or more, depending on how many home-study contact hours your state approves.